For many, Logistics is as simple as the movement of goods from A to B. For business it is a trillion dollar industry. In this interview, Yvette Rogier, Global Director of Randstad’s Logistics sector, shares her perspective on what skills are critical to the future of the Logistics sector, what strategies companies can adopt to bridge the skills gap, and what challenges they will most likely be confronted with when putting these strategies into practice. what trend is redefining the agenda of HR leaders in the Logistics sector? In the past, new technologies, such as RFID (radio frequency identification), tended to automate blue-collar jobs. Now, they’re increasingly taking over tasks performed by white-collar workers. In other words, a large number of current jobs in the sector won’t exist, at least not in their current forms, in coming years. There’s never been a more challenging time to be a worker with a fixed set of skills and abilities. We’re clearly seeing a big shift towards a new, broader range of skills and competencies that companies are looking for in future candidates to drive business excellence. what skills will be more critical in the future? As the sector further transitions towards a business driven by information, innovation and excellence, the role of the typical Logistics professionals is evolving from being an operator responsible for shipping to being a supply chain engineer. On the front of technical skills, candidates who master a wide range of analytical procedures, coupled with a comprehensive understanding of the business, will be in great demand. Yet, having technical competencies alone is no longer sufficient; prospective candidates must also excel in cross-disciplinary teamwork and leadership. Moving away from siloed positions, future Logistics professionals need to develop broad-based skills to encompass more areas of the business. And talent with those skills will become an increasingly determining factor for the success of Logistics companies in the years ahead. what’s the outlook for talent supply-demand? It’s no secret that the Logistics sector is confronted with a severe talent shortage. According to R.J. Bowman, author of The Secret Society of Supply Chain Management, in the U.S. alone, demand for supply chain and Logistics professionals is estimated to exceed supply by a ratio of 6 to 1 within the next few years. Concern over the sector’s talent shortfall is escalating: the vast majority of the Logistics CEOs and HR chiefs I met at the 3PL Summit and Chief Supply Chain Officer Forum in Chicago told me that the rapidly growing talent shortage is one of the biggest threats to their organization’s growth prospects, keeping them awake at night. I believe one of the major reasons for the talent gap is that the skills and competencies required by future Logistics professionals are changing rapidly. Yet, those skills and competencies aren’t necessarily available in a company’s current employees or the talent pool the company used to look into. what can HR leaders do to remedy the situation? For many companies the source of talent will increasingly lie not only outside of their organizations but also outside the Logistics sector. Industries such as retail and fast-moving consumer goods have a lot of similarities with Logistics: multiple locations, a high transaction volume and predictive analytics. In addition to their transferable skills and experience, talent from those industries can also bring fresh ideas and out-of-box thinking to the business. Although looking further afield for talent requires more understanding to cut through the complexity, the reward is great: the most qualified and engaged talent you need to drive business success. Yet, that is not to suggest HR leaders should neglect internal talent development and mobility. Training and development programs are playing an increasingly important role in keeping employees updated with all the latest skills and knowledge critical to the industry’s future. Moreover, companies should look into developing job rotation programs. It proves to be an effective way companies should exploit to broaden the perspectives of your employees and enrich their skills. what challenge do Logistics companies face regarding attracting talent outside the sector? The sector’s image problem is definitely one of the major challenges holding most companies back from attracting a sufficient pool of high quality talent. Many jobs in the Logistics sector are associated with unpleasant working conditions and low-paying jobs. 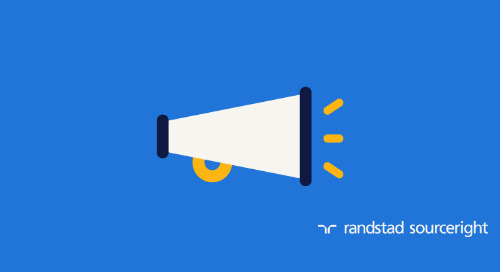 According to the 2015 Randstad Award research of more than 225,000 job seekers worldwide, Logistics is a far less than ideal sector to work in, ranking 13th out of 15 global sectors. This unfavorable perception poses a big challenge when HR tries to attract and hire talent outside the industry. what can HR leaders do to address the image problem? First of all, HR leaders need to put improving the sector’s image at the top of their agenda. Whatever efforts are made, it’s critical to have total support from the C-suite. Next, the key to addressing the problem is through employer branding. 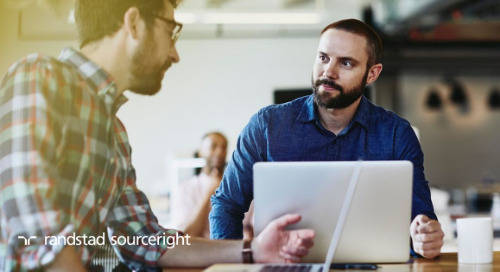 A strategic approach to it starts with a comprehensive understanding of the motivators and preferences of today’s talent, and their perception of you as an employer. Seek an employer branding expert for a step-by-step blueprint to improve your talent attraction, recruitment, and engagement. Make sure your branding programs are monitored, analyzed, and adjusted regularly to ensure outcomes meet expectations. Last but not least, becoming an employer of choice talent aspires to work for calls for collaboration on an industry-wide scale. Only by doing so will companies in the sector succeed in addressing the talent shortage and stay ahead of the competition. Senior Vice President - EMEA Having more than 15 years experience in HR & recruitment, her extensive expertise lies in developing effective HR strategies and solutions for companies to drive business results, managing client relationships at senior and executive level, and creating long-term partnerships. Keen to share her perspective and opinions with the HR community, Yvette highly involves herself in industry events on a wide range of topics, including workforce planning, talent management, employer branding and more.